Human societies develop culturally specific technologies of organizing the satisfaction of basic physiological needs which must be understood within the context of a society’s religious and political world views. During the Chinese Cultural Revolution (1966-1976) ideology was predominant in structuring all domains of everyday life.This becomes especially apparent in sartorial body techniques. For a long time Western dress history understood and examined dress chiefly from the viewpoint of its signification as a carrier of symbols and as a means of visual communication (Eicher & Roach-Higgins 1992:15).The rhetoric of the Cultural Revolution reduced dress mainly to its function as an indispensable means of meeting basic physical needs. At the same time, however, depictions of the clothed body served to convey revolutionary contents and model behaviour as well as future visions of technological progress. Thus dress came to play a role in the visual expression of revolutionary asceticism as well as future abundance.The dissertation project addresses this seeming contradiction of dress as a supplement of physical functions serving environmental adaption (see Nixdorff 2000:117) on the one hand, and dress as a means of visual communication following social rules on the other. While, as a technological artefact, dress serves as a carrier of attributions of meaning, it is also, through its immediate contact with the body, part of the original structure of the human Leib. The dissertation examines Cultural Revolution dress in its resulting function as a mediating force between individual, environment, and technology (see Strieder 2003:187).Against the background of the technological development of textile production throughout the 1960s~1970s, this study analyses the role of textile materials in the sensual experience of everyday life by means of an examination of the actual cut and construction of clothes and of the layering structure of garments. 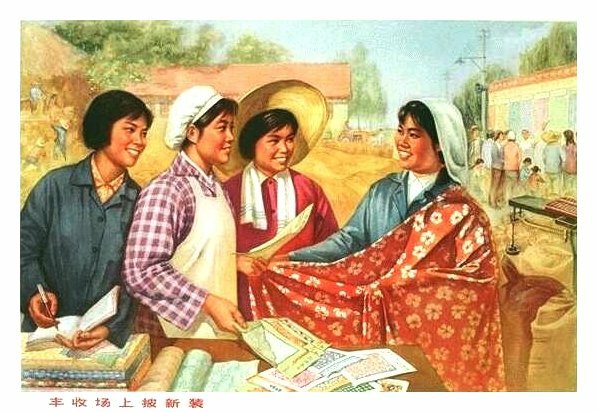 A closer look on depictions of the clothed body in propaganda materials and on metaphors of dress in Cultural Revolution rhetoric will lead to a deeper understanding of techniques of conveyance and appropriation of ideological contents. Eicher, Joanne B. & Roach-Higgins, Mary Ellen: Definiton and Classification of Dress. Implications for Analysis of Gender Roles. In: Barnes, Ruth & Eicher, Joanne B. [Eds. ]: Dress and Gender: Making and Meaning in Cultural Contexts. New York [e.a. ]: Berg 1992, pp. 8-28.Nixdorff, Heide: Kleidung. In: Streck, Bernhard [Ed. ]: Wörterbuch der Ethnologie. 2. und erweiterte Auflage. Wuppertal: Edition Trickster im Peter Hammer Verlag 2000, pp. 117-120.Strieder, Andrea: Kunstseidene Welten. Die Erfahrung textiler Materialität im Kontext der 20er und 50er Jahre. In: Bewegung - Sprache - Materialität. Kulturelle Manifestationen des Textilen. [Textil - Körper - Mode. Dortmunder Reihe zu kulturanthropologischen Studien des Textilen. Herausgegeben von Gabriele Mentges und Heide Nixdorff. Band 4]. Bamberg: Edition Ebersbach 2003, pp. 185-254. In the past and up to modern times the custom of getting up early in the morning and adjourning to the home with the setting sun (richu er zuo, riru er xi 日出而作, 日入而息) has been suggested to rule the rhythms of work and rest in human society. The idea that the everyday life of ordinary people is ruled by daylight has not only been held by Chinese folklorists. The phrase „Der Bauer vom alten Schlag arbeitet nicht nach der Uhr, sondern nach Sonne und Jahreszeit“ (The traditional peasant does not work according to the clock but according to sun and season) has been formulated by Wilhelm Heinrich Riehl in the year 1861. Numerous results of research on the subject “time” in recent German folklore studies have shown that changes in time orientation and everyday life rhythms have been highly complicated many-sided processes (see Chojka 1997). With these findings in mind a closer investigation of the process of change of time orientation and time cognition in Chinese society is necessary. From a technological perspective, techniques of time-measurement and lighting are two main elements, which affected and eventually changed human time orientation and circadian rhythms. Modern techniques of time-measurement represented by private clocks, have right from the beginning had a highly symbolic meaning in social life. On the other hand innovative techniques of lighting have penetrated deeply into practical everyday life of the people. These techniques have restructured people’s time- and space-cognition as well as the cycle of their days. The “Zwangsgemeinschaft” (compulsory commmunity, Garnert 1997:64) that had been the result of scarce light sources was replaced. Looking at this from a cultural-historical perspective, the now possible blurring of the distinction between light and darkness challenges new conceptions of the term „changeability of time“. Its consequences do not only affect technologies and everyday life, but are equally reflected in the history of thought of a society. (See Garnert 1994, 1997; Schivelbusch 1986 ). Jan Garnert argues that “for an ethnologist, the main, and in the long term the only really significant change in lighting technology came with electric light” (Garnert 1994:51). Can this assumption be generalised? What do we know about a history of lighting in China? In how far has electric light been a technological choice for Chinese society? Which kinds of time orientation and time cognition have been caused by the spread of electric light? What have been the social and ideological consequences? In her Ph.D. research Wu Xiujie will try to answer these and related questions. Her method of research will focus on empirical investigations and interviews. Electric light has become popular in China only since the 1950s. 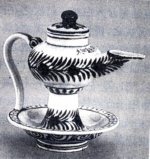 In remote areas traditional techniques of lighting (such as oil lamps) were still in use until the 1970s. Many of the interviewees have themselves experienced the change from a light-source of fire to electric light. This is why qualitative interviews may still be done and are indispensable for the present research. To better understand the history of lighting in China and to draw a line of its evolution, Wu Xiujie follows historical documents back to the Ming dynasty. One reason for this is that one of the most important objects for this subject, the western clock, was introduced into China by the end of the Ming period. Secondly Wu Xiujie will deal with the question if and how the sudden spreading of “reading lamps” (shudeng 書燈, see Gao Feng und Sun Jianjun 1997: 74-76) has to be seen in connection with other technical developments like oil production or printing techniques. One interesting question is how far the Ming dynasty has been a particular time of technological choices in the Chinese history of lighting. Geographically, the Ph.D. research concentrates on Northern China, more specifically on Beijing and its adjacent areas. The material and mental processes of change in the capital Beijing as well as in the countryside will be described and compared.